Editor’s note: The Longines Legend Diver got a dark makeover last year, and even though it’s 12 months on, we still can’t get enough of this all-black look. Can you blame us? The steel 42mm case is coated with a layer of black PVD and has an illustration of a diver engraved on the screw-down back. 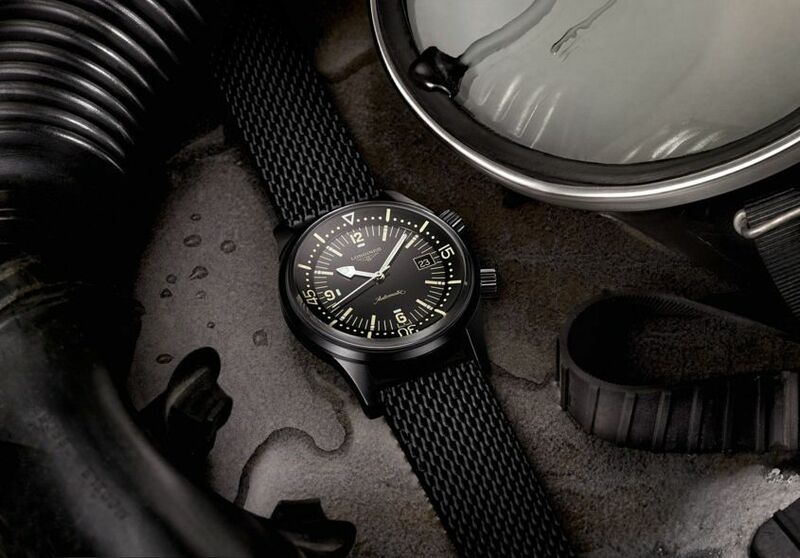 The strap is Milanese-style in black rubber and comes equipped with a folding titanium clasp treated with black PVD and an integrated diving extension.